A loose cannon aboard a pirate ship would probably be a pretty terrifying thing. ~3,500 lbs of steel and iron rolling around wildly at the whims of the waves, slamming into man and barrels of rum alike. I can’t imagine anything good ever came of a loose cannon, short of that one scene in At World’s End when they loose the cannons to tip the boat upside down (which probably would have totally worked and MythBusters should try that). Unless you count this beer, which would be a great thing to come of a loose cannon, if only in name. This is a flagship (I’m just overflowing with bad puns) beer for Heavy Seas and I’ve seen it on tap in more than one bar. It’s a pretty traditional and well presented IPA with generous hopping and a crisp, only-slightly-bitter return. I could talk with this beer. Talk about politics. About the state of the union. About which weapons would be the best to fight of a smallish throng of classic, Romero-style zombies. The important things in life. I could walk with this kind of beer. On the beach. Around my yard as I mow. To the local 7-11 to get week-old taquitos. This beer can and should go places. I could get deep with this beer. Talk about astronomy. Physics. Which deep sea creatures are the most horrifically nightmarish and why. This beer will make your brain even juicier than it was prior to you drinking it. And despite the fact that I don’t actually know how, I could sail with this beer. I could point the 30 pounders at my enemy’s broadside. I could cut across the wind, leaving her dead in the water. I could yell to my men to “loose the cannons!” and they would all stand around looking at me, wondering why the hell I’m the captain when I clearly don’t know what I’m doing. Its color is similar to Dogfish Head Shelter Pale. It’s more orange and opaque than Harpoon IPA (which is surprisingly yellow, but I digress) but it is also heavier, and slightly sharper in terms of carbonation. It has a generous head that will give you a nice beer mustache if you’re too eager to drink. It’s sour and savory, like a bottle of hot sauce minus the chili. I’m a fan of this IPA. I buy it frequently. Partly because it’s a Maryland beer, partly just because it’s flat-out good. 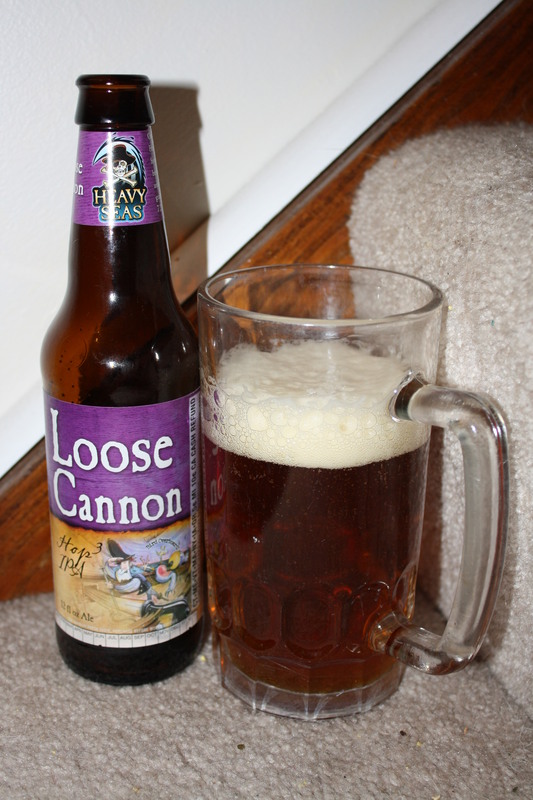 Dogfish head 60 minute is arguably a better IPA, but Loose Cannon is cheery, casual, and cheap(er). Drinking beer on the stairs, an old pirate tavern pastime. Next up: Smuttynose Star Island Single! Oliver, your reviews on these beers have been nothing short of awesome. I love your descriptions. 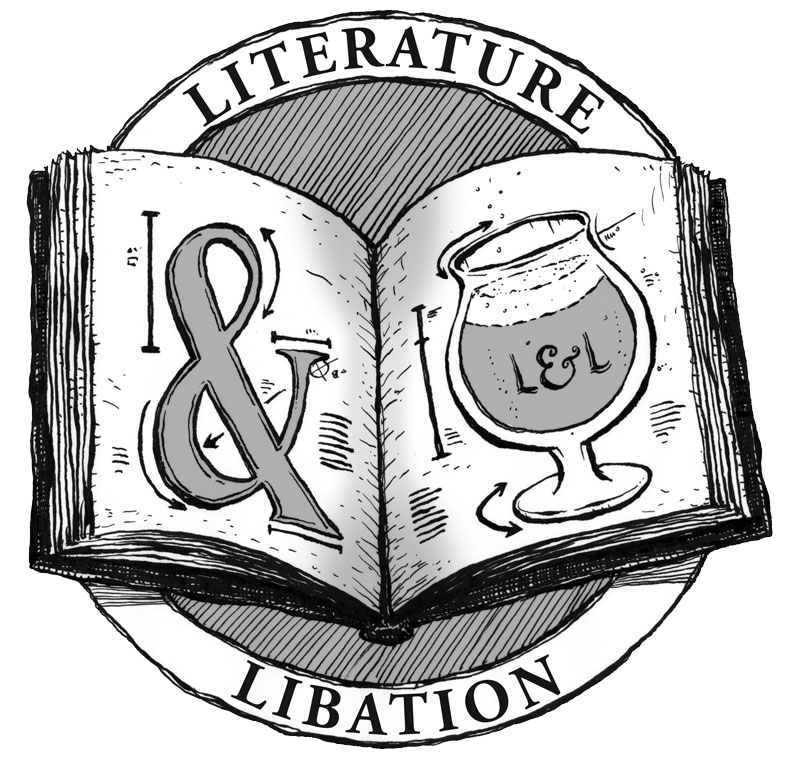 Have you thought about contributing to a craft beer enthusiast magazine/website? Thank you so much! I really appreciate your feedback (and kudos). I’ve thought about it. I’m getting married in 14 days, so maybe once the dust has settled from all of the planning craziness, I’ll shop these out and see if anyone bites. Wow, congratulations man! That’s awesome. I know that’s a busy time, so try not to let it drive you too crazy. I just wanted to drop a note of encouragement so you can get your good work out to a wider audience.